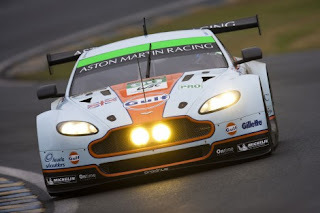 LASARTHE, FRANCE - The 90th run of the 24 Heures du Mans was marked by tragedy when on lap three, Aston Martin driver Allan Simonsen lost his life when his #95 Vantage struck the armco barriers at the high speed entry of the Tetre Rouge. This is the first driver fatality at Le Mans in 30 years. The 34-year old Dane was considered a young star in the sport competing all over the world. 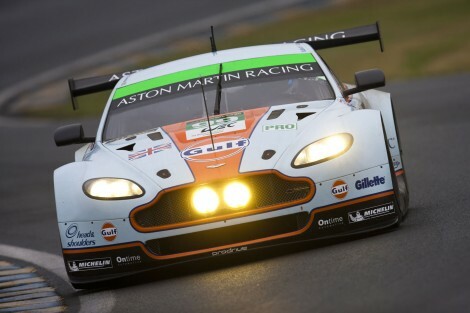 “Following the wishes of Allan’s family, the team continued its participation in the race which was obviously very emotional and difficult for everyone," said Aston Martin chairman David Richards. "Both the No. 97 and No. 99 cars led for long periods of time but, ultimately, it was the changing weather conditions in the last hours that cost us the victory we all longed for." Audi claimed its 12th overall victory at the famed endurance race. But this time it was not the seeming cake-walk that Audi has been known for, as the hybrid Toyotas gave them formidable competition. The Audis looked strong the whole day, but the competition became interesting when some late race pit stops for the #2 R-18 Audi diesel-powered hybrid allowed the #8 Toyota piloted by Buemi to take the lead with only 30 minutes to go. R-18 pilot, Tom Kristensen, was able to pass the Toyota on the second to the last lap to claim victory. Kristensen shared the victory with Allan NcNish and Loic Duval. Third place also went to Audi and the #3 team of Jarvis/Genne/DiGrassi who had to play catch-up following an extended pit stop for body repairs. 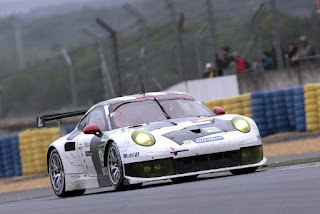 Porsche made a strong statement in its return to factory sports car racing scoring a 1-2 finish in the GTE-Pro class with the new 991-based RSR. It appeared that the faster #97 Aston Martin would win the race as a tribute to their fallen comrade, but Porsche made some very strategic pit calls that clinched the victory. When the rain started, the #92 Porsche remained on slicks whilst the Astons pitted for rain tires. A more daring call for the #91 Porsche to change from wet tires to slicks was also found to be the correct strategy. After the #97 Aston pitted again for slicks, the Porsches were one lap ahead. With a victory in GTE-Am, Porsche swept the GTE classes. 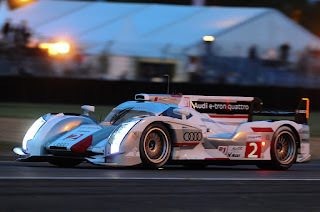 I will close this blog entry with a quote from Audi driver Tom Kristensen. 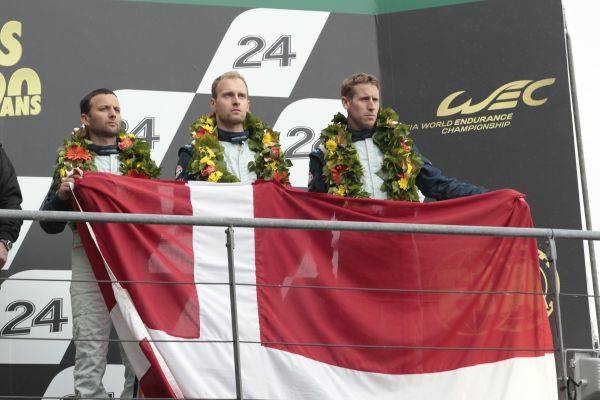 "For me, Le Mans was filled with very personal emotions this time. I’m proud to drive for the world’s best team. …. They make it possible for us to realize a dream. Now this dream has come true again – winning the fastest and toughest race under the direction of Dr. Wolfgang Ullrich. 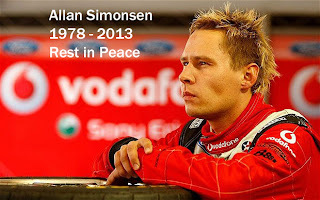 Unfortunately, we lost someone yesterday (with Allan Simonsen) who had the same dream. He was a very modest and nice person. That’s why I’m experiencing highs and lows this time. With respect to my ninth victory: I’m driving with determination and the ambition my father inspired in me. He died in March. Before his death, he told me that I’d win Le Mans this year with my team-mates. I’m hoping that one day I’ll be able to celebrate another victory with Loïc and Allan that I can dedicate to my father. Because this Le Mans success I’m dedicating to Allan Simonsen." 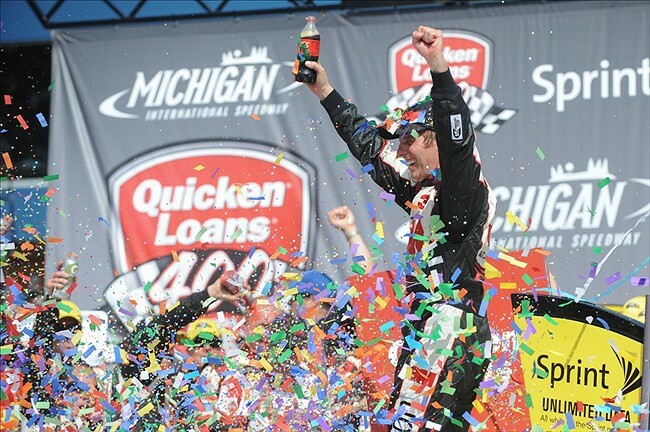 BROOKLYN, MI – The Quiken Loans 400 was payday for Greg Biffle. 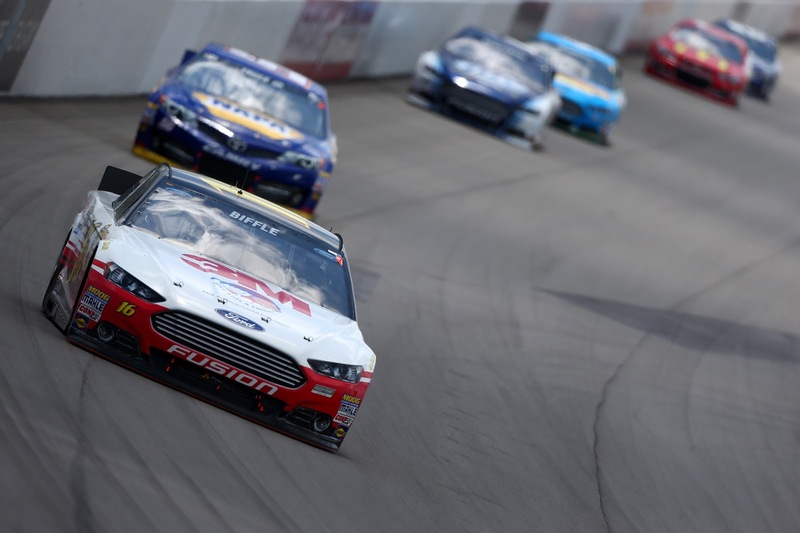 With 32 laps to go, Biffle grabbed the lead on the final restart and stayed there to win the 1,000th NASCAR victory for Ford Racing. “The 1,000 wins for Ford, that's pretty exciting,” said Biffle. “I was worried about the 48 [Jimmie Johnson], but when I got in clean air, it was over.” It was not a downhill ride for the Roush team as Sprint Cup leader Jimmie Johnson had a hot car and was gaining on Biffle. 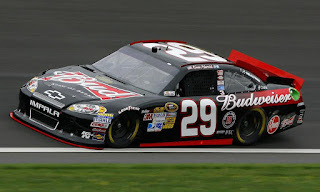 With only 0.908 seconds between him and the leader, a cut tire forced him into the wall in Turn 2 with only two laps to go, placing him at 28th. “We had a fast race car,” Johnson said. “I hate having that problem at the end. Jack Roush was of course elated with his win at the home track. 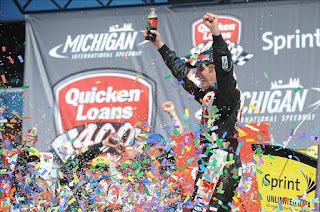 "We expect to be at our best when we come to MIS and I am glad we could pull it off," Roush said. "I was a little nervous for a minute there, but I am glad it worked out and glad we could give Ford its 1,000th win." Kevin Harvick finished in second place followed by Martin Truex in third. The mood on Saturday however was somber as the drivers and teams remembered Jason Leffler who died last week in a Sprint Car crash in New Jersey. 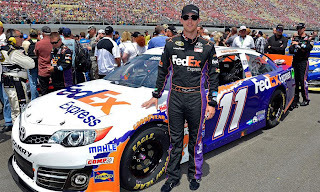 Denny Hamlin and the Joe Gibbs Racing team paid tribute to Jason with wrapping his #11-car with the FedEx livery that it carried when Leffler last drove it. "We feel fortunate to have had (Leffler) as part of both our Nationwide Series program and of course in the Cup Series where he helped us launch the No. 11 team with FedEx," team owner Joe Gibbs said earlier this week. "NASCAR is unique in that it really is one large family and Jason was well liked by all that knew him. His loss will be felt across the entire sport." Other NASCAR news this week includes some off-the-cuff remarks by Brad Keslowski regarding the Hendrick’s and Gibbs’ teams. According to ESPN.com, Brad said, "What keeps it from going too far is the fact Hendrick and (Joe Gibbs Racing) have this nasty little habit of going to our teams and outbidding different people and taking those employees and stealing our information." 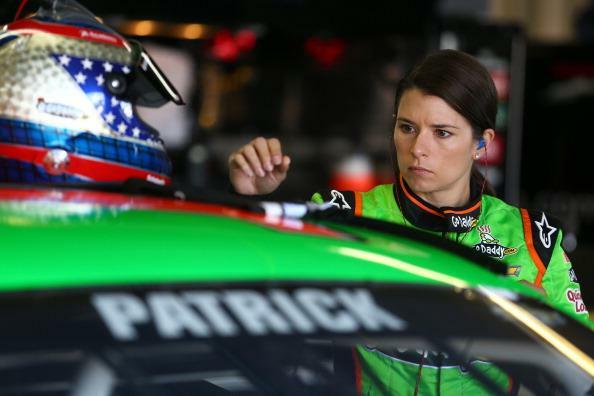 Both Gibbs and Hendrick rebutted the comments, with the Gibbs response most telling "We were surprised to read the recent comments and accusations made by Brad Keselowski," JGR said. "Clearly those comments are misguided and irresponsible. Brad's candor is well documented, but he would do well to only speak to subjects on which he is properly informed."